It’s been a relatively mild winter so far, but the Met Office has predicted that this is all about to change as another ‘Beast from the East’ is set to hit the UK, bringing with it freezing temperatures, heavy snowfall and high winds. 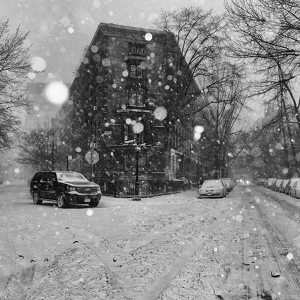 We’ve already outlined what you should do to prepare your home for winter, so you’re covered when the snow falls, and here’s how to protect your home against storm damage, so you’re also ready for the worst of the high winds. The first thing you need to do before the storms hit, is simply take a walk around your home and try to spot any potential issues, paying particular attention to the roof and gutters, as well any surrounding fences and trees. The roof of your house is especially vulnerable when high winds hit, and it’s something that many of us don’t consider checking until it’s too late – so take a good look at from ground level to see if any tiles are loose or if any are missing, and check for any debris from broken tiles or slates on the ground around the house. You should also check for any leaning chimneys or pots, or any loose chimney bricks, and if anything needs repairing, get it done by a professional as soon as possible. Then check to see if any guttering is loose, securing it back in place if so, and clear any blockages. It’s also worth fitting heat tape around the underside of your guttering to prevent ice from forming. It’s easy to forget about the garden in winter, but there are all sorts of things that can come loose and go flying in high winds, from plant pots to fence panels to trampolines. So make sure any garden furniture, toys or plant pots are stored away or tightly tethered down, secure any loose fence panels, and prune any loose or dead branches from trees. It might also be worth parking your car in the garage, if possible. If your windows are rattling in high winds, you could find that cold air is entering your house through any loose fitting or unsealed cracks. So give your window and door frames the once over, and make sure they’re fully draught-proofed using a sealant (you’ll be able to pick up something suitable from a DIY shop). It’s also worth inspecting the outside walls of your house, paying close attention to exterior corners and outdoor taps, sealing any gaps in outer walls or foundations with foam or caulk to prevent cold air and water entering the home. If cold air is entering the house, then hot air will also be escaping, which means your heating system will have to work harder to keep your house warm and your winter energy bills will soar. So, to help keep your bills in check, you should make sure your house is as energy efficient as possible, by plugging any draughts and making sure your boiler and heating system is working efficiently. And once your home is ready for the worst of the winter, run an energy price comparison and switch to a deal that will ensure you’re paying the best price for your gas and electricity. To get started, simply enter your postcode in the box at the top of the page.